At the height of the Vietnam War, the US developed a high-tech system to interdict forces and supplies streaming into the battlefield from North Vietnam. The system was technologically ahead of its time and demonstrated several groundbreaking military technologies – this is the story behind this system. Necessity is mother of most inventions and military necessity is perhaps the biggest mother of all. Along military history necessity pushed people to seek solutions to military problems through technological innovation. One of the biggest problems is monitoring the battlefield, controlling it, and employing firepower in its most decisive points. One of the first modern attempts to centrally control a battlefield using hi-tech means was Great Britain’s air-defense network, established before WWII. Such innovation required the integration of sensors, communications, command and control, and weapons into one coherent functioning body. After WWII the employment of technologically-rich centralized command and control of air and naval forces became widespread. The US faced two main enemy forces in Vietnam: the North Vietnamese Regular Army (NVA) and the Vietcong guerrillas. The Vietcong operated in South Vietnam and was supported by infiltrating NVA forces. Communist operations in the south were heavily dependant on the regular flow of men and supplies from North Vietnam; the main supply artery connecting the two parts of Vietnam was the Ho-Chi-Minh Trail – a complex network of many dirt roads and streams and rivers running along the border areas with Laos and Cambodia. Most of the Trail ran through difficult mountainous jungle terrain and was covered by a heavy jungle canopy. The climate in this region is extremely harsh and wet, making it hard on pilots to locate their targets. Imposed political restrictions, especially because of Laos’ neutrality. These factors prevented the employment of conventional ground forces against the Trail and complicated the use air power to interdict its traffic. It quickly became apparent that bombing the trail was useless because it was easy to repair any damage done to the primitive roads. Hitting the traffic running on the Trail was almost impossible because most of it was hidden from above. The Americans experimented with several exotic technologies in order to disrupt the traffic. Project “Popeye” sought to turn the roads into permanent quagmire through cloud seeding. It ran from 1968 to 1972 but showed few results. Even more bizarre was operation “Commando Lava,” which sought to destabilize large parts of the trail by using an airdropped soap-like chemical; it failed as well. Other efforts involved the development of advanced aerial sensors, which were supposed to enable aircraft to locate ground traffic and attack it, even at night and in bad weather. Several special development programs, commonly called “Shed Light”, experimented with low light level TV, infrared sensors, and advanced ground scanning radar. These were all groundbreaking technologies that started to enter operational service in the late 60s to the early 70s. Earlier the Department of Defense appointed several “think tanks” to offer ways to block communist infiltration to the south. Most notable among them was called the JASON Defense Advisory Group from the Institute for Defense Analysis. Its advisers came in 1966 with a plan for a centralized concept of combating traffic on the Ho-Chi-Minh Trail. Their concept was largely based on an automated battlefield model in which the US excelled: the command and control structure of the strategic nuclear forces. 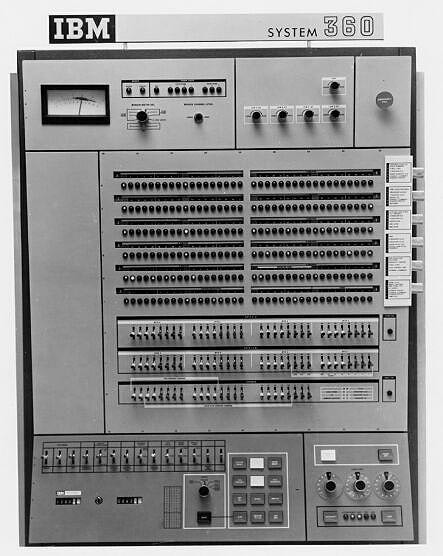 Here computers, modern communications, automatic machines, and modern man-machine interfaces formed a highly centralized organization that combined “brains”, sensors, and” muscles”into a single functioning body. The practical application of the plan was based on two earlier schemes. One, called the “McNamara Line” was basically an air-supported barrier of physical and electronicobstacles suggested in earlier studies. The second basis was a Navyremote sensing project called ALARS (Air Launched AcousticalReconnaissance). In ALARS the Navy applied know-how gained during thedevelopment and deployment of sonic sensors used in anti-submarinewarfare. Their OP-2E Neptune maritime patrol bombers started plantingacoustic, and later seismic, sensors along some of the supply routes inorder to locate and destroy communist traffic. ADSID sensors on a Navy P-2 Neptune. In late 1967 the US Air Force took over the scheme and expended it immensely. The comprehensive electronic campaign against the ho-Chi-Minh Trail received the code name “Igloo White.” Beginning in 1968 it formed the backbone of a series of operations titled “Commando Hunt”, which sought to interdict communist logistics around the clock from the air. From that point on the main grand-strategic role of “Igloo White” was to shield the “Vietnamization” process, which became in 1968 the main pillar of US policy in Southeast Asia. There were four main elements in this multi-billion dollar system developed and used by the “Igloo White” project during the war. Different types of sensors were developed, including exotic sniffing sensors that could “smell” human urine by sensing sudden increases in ammonia particles in the air as well as in heat sensing devices. Most of the sensors that were eventually used were ADSID (Air Delivered Seismic Intrusion Detector) sensors that converted ground motion into an electrical signal and transmitted it. Versions of this sensor equipped with microphones that allowed noises to be heard were called ACOUSIDs (Acoustic Seismic Intrusion Detectors). Both these sensors were shaped like a wedge and were supposed to get stuck in the ground and look like a weed. Acoustic sensors were called Acoubuoys and were supposed to hang hidden in the brush by a parachute. Beginning in 1971, engine ignition detectors were also parachuted in limited numbers. The majority of the sensors were dropped from aircraft, but ground teams planted some ground versions called GSIDs (Ground Seismic Intrusion Detectors). The sensors were planted in strings in order to provide local area coverage, and more importantly, directional and speed information. Precise coordinates of each sensor were recorded at the time it was planted. All the sensors were able to transmit data in real time. Around 20,000 sensors were planted during the “Igloo White” operations. Later, sensors were powered by a battery, which ran out of power after 60 to 160 days – depending on mode of operation. 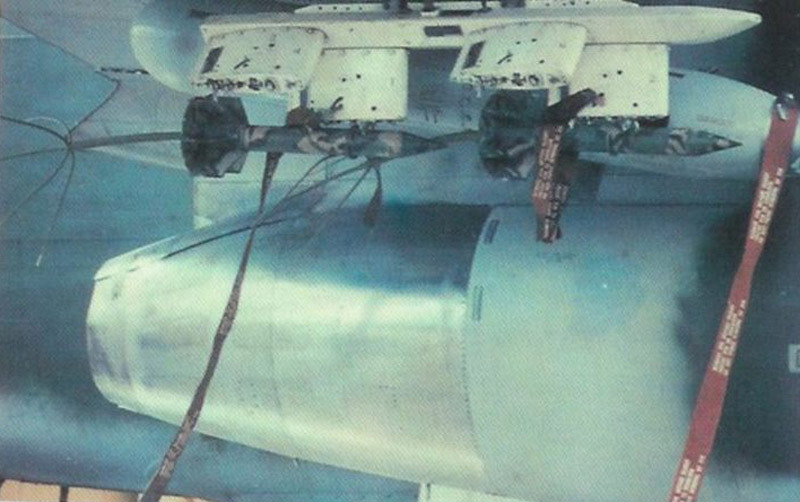 Many sensors were also damaged during the drop. Therefore, it was necessary to constantly plant new sensors. Originally, it was planned to enhance the effectiveness of the sensors by spreading from the air large numbers of gravel mines in the suspected areas. These mines caused very little damage when triggered by men or cars, but the sensors easily recorded their bang. Eventually, they proved largely useless because humidity and rain quickly neutralized them. 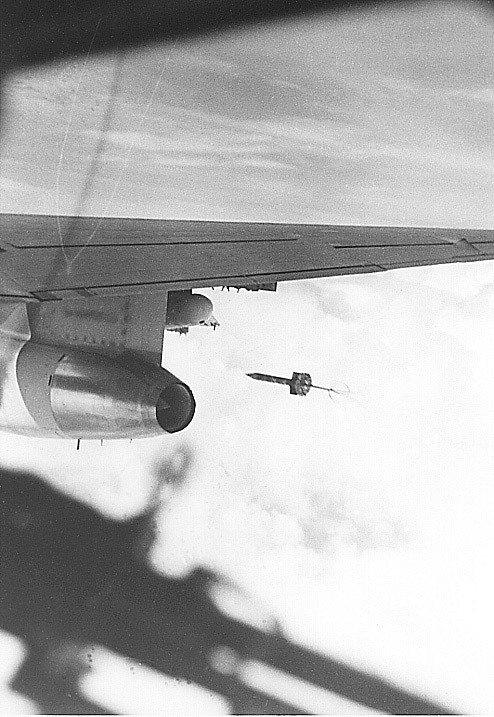 Since the transmission range of the sensors was limited (around 20 miles in later models), transmission relay aircraft supported the operation 24 hours a day. Initially, cumbersome EC-121R aircraft were used. 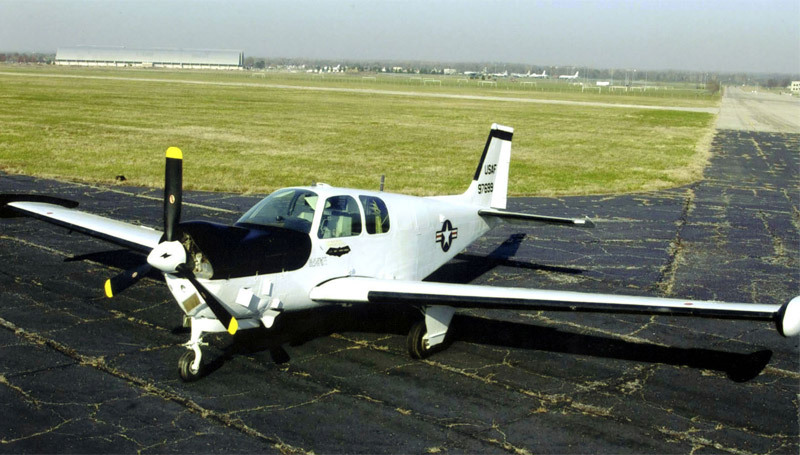 Starting in 1970 smaller QU-22 light planes, codenamed “Quaker,” replaced them. They were designed for unmanned operation but were used in the field with a pilot monitoring the automatic flight system and performing the takeoff and landing. These aircraft suffered from numerous technical problems and were eventually replaced by the modified C-130B aircraft. The biggest innovation of the “Igloo White” program lay in its huge command and control center, called the Infiltration Surveillance Center (ISC). The center was constructed in 1967 in Thailand next to the Nakhon Phanom airbase. It resembled in many respect the large command centers employed by Strategic Air Command in the mainland US to control its nuclear assets. The building was equipped with a massive communications facility as well as data processing infrastructure. 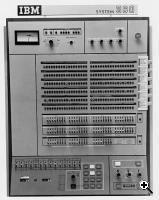 At its core were two IBM 360/Model 65 computers – the most powerful computers available at that time (which were also used by NASA on the Apollo project). One computer was used to process the information received from the sensors and the other was used to process data received from other sources (such as road watch teams) and as a backup. 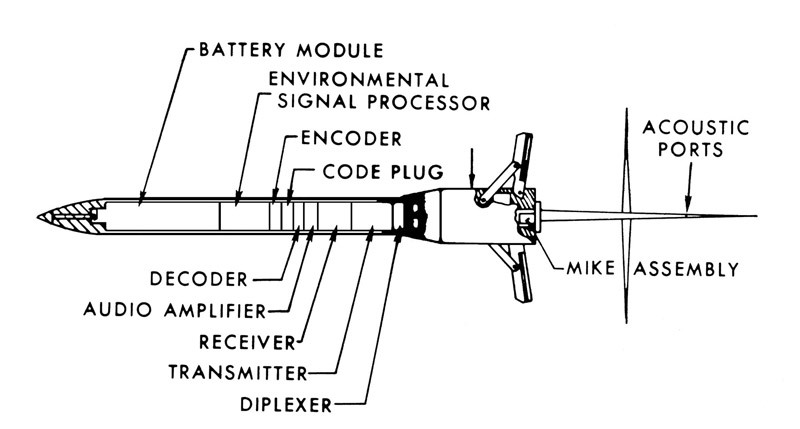 Data transmitted by the sensors was received and processed by the computers. It was displayed electronically on a monitor as a white “worm” on a grid map. Analysts manning the monitors sought to establish the speed, direction, and exact location of the contact. Once this was established, the coordinates were transmitted to the closest available armed aircraft. The six digit coordinates provided by the ICS provided a target location within a 100 square meter area. It was said that the average meantime between target acquisition in the ISC and ordnance delivery was five minutes. Information collected by the ICS was used to cue other “Commando Hunt” strikes, including B-52 carpet-bombing of the Trail. to direct strikes on the Trail (USAF photo). Different aircraft were used to attack the so-called “target signatures” located by the “Igloo White” system. 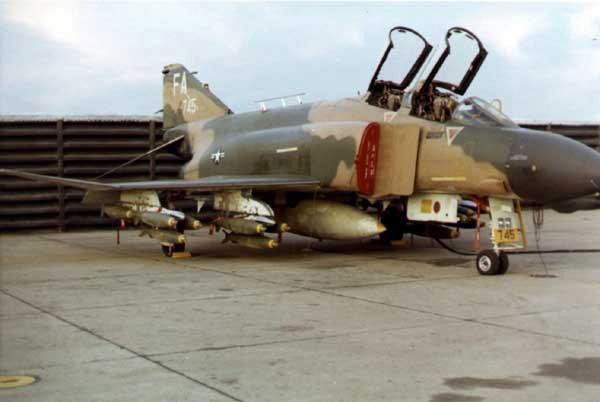 Notable among them were F-4D Phantom and A-6E Intruder jets equipped with advanced navigation-bombing systems. These systems enabled them to attack blindly according to coordinates the ISC transmitted automatically into their navigation system. Phantoms equipped with the LORAN navigation system were also used in 1969 to plant sensors, after large parts of the Trail became too risky for less advanced aircraft. Air Force gunships also took part in the hunt. These aircraft carried different sensors that helped pinpoint targets at night. Among their most unusual sensors was the “Black Crow” detector, which picked up the electronic emissions from the ignition systems of motor vehicles. Other less sophisticated aircraft were directed to the suspected coordinates and tried to locate the targets visually. Until 1969 even WWII vintage B-26 Invader bombers were used. Since most of the movements on the Trail took place at night, most of these aircraft were unable to effectively locate and attack their targets. A major disadvantage of all ground sensors was that none of them were able to view the target or to transmit pinpoint locations to the attacking aircraft up to the moment of weapon release. In other words, its inability to close the sensor-to-shooter cycle quickly and precisely enough. In order to overcome this shortcoming, large numbers of bombs were dropped on every suspected coordinate. It was a wasteful and inefficient practice. Furthermore, in most cases it was impossible to assess the effect of the weapons dropped. U.S. generals failed to realize the primitive nature of the Trail and its traffic. In many cases, even successful strikes resulted in the destruction of single truck or a couple of soldiers. The Vietnamese realized at an early stage what kinds of sensors were being planted along their routes of supply. As a result they used several means of deception, like playing truck sound recordings and driving empty trucks along certain stretches. The average annual operating costs of “Igloo White” were around one billion dollars. It was estimated that it cost around $100,000 to destroy a single truck during its operation. Therefore, even without taking into account its failure to influence the strategic situation, “Igloo White’s” cost-effectiveness was doubtful. One of the first criticisms raised against “Igloo White” in the US congress in 1970 was its inability to discriminate between combatants and non-combatants. Some critics argued that many civilians were hit by strikes cued using data received from the sensors. The program also partially failed as an intelligence generating organization. Although it collected large amount of data about the Trail, only in 1971 was the ISC able to translate this data into a comprehensive picture of the Trail. “Igloo White” was a large and modern networked system that enabled a quick and qualitative analysis of information and fast flow of data between many entities located far apart from each other. It basically resembled in this respect the massive strategic command system. The main difference between them was the type of targets. The strategic system dealt with a series of mostly fixed and large targets (cities, ballistic missile sites etc.) – therefore, they were quite easy to locate and monitor. Furthermore, the accuracy of the nuclear weapons employed against them was not that important due to their huge destructive power. “Igloo White” sought to deal with small moving targets – sometimes even individual human beings. 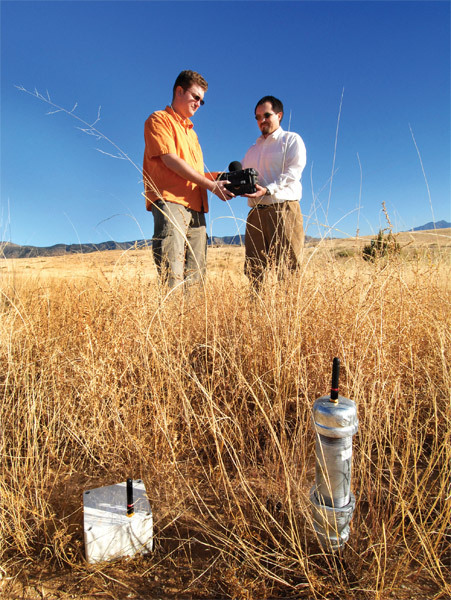 At the time of “Igloo White,” refined remote sensing technologies were under development as a replacement to the array of ground sensors. Arguably, the most important technology maturing at that time was the Side Looking Airborne Radar (SLAR), first installed on the OV-1B Mohawk reconnaissance aircraft. This Doppler radar was able to identify moving ground objects and to separate them from ground clutter. As the strategic attention of the US shifted during the 70s towards Europe and threat of a Soviet massed armored assault, SLAR formed the backbone of the electronic battlefield of the future in the theatre. Most reminiscent of “Igloo White” among the schemes devised to combat Soviet armor was the “Assault Breaker” program. One of the most distinguished results of this abortive program was the Boeing E-8 J-Stars airborne battlefield control center. Near real time capabilities of satellite mounted sensors also increased at that time. Today, the basic ingredients of the “Igloo White” system exist in almost any modern battlefield command and control system. Today, the information collecting part of such systems in often called MASINT (Measurement and Signature Intelligence). What has changed is the quality of each technical part of the structure and the type of sensors. Airborne and spaceborne sensors replaced, to a large extent, the ground sensors. Modern unattended ground sensors (UGS), like “Steel Eagle” and “Steel Rattler” (developed by sentech-acoustic), which were developed basically to combat mobile missile launchers after the 1991 Gulf War, are a vast improvement over the older sensors. However, their detection radius is still limited and the enemy can easily locate them. “Smart Dust” is a more advanced remote sensing concept based on micro sensors, which is currently under development around the world and may revolutionize unattended ground sensors in the future. “Igloo White” was a futuristic military operation that provided an extreme demonstration of the limitation of modern technology in certain military scenarios. It was over-ambitious in its goals and in harnessing many immature technologies to fight a multitude of tiny targets in a vast and difficult area. Even today, high-tech armies operating against insurgents in the Middle East and Afghanistan find it difficult to deal with similar challenges. Edwards, Paul N., The Closed World: Computers and the Politics of Discourse in Cold War America, Boston, 1997. Gibson, James William, The Perfect War. Technowar in Vietnam, New York, 2000. Hacker, Barton & Vining, Margaret, American Military Technology: The Life story of a Technology, Baltimore, 2007. Head, William P., War from Above the Clouds. B-52 Operations during the Second Indochina War and the Effects of the Air War on Theory and Doctrine, Maxwell AFB, 2002. John T. Correll, “Igloo White”, Air Force Magazine, vol.87, no.11, November 2000, pp.56-61. Nalty, Bernard C., The War Against Trucks. Aerial Interdiction in Southern Laos, 1968-1972, Washington DC, 2005. Rosenau, William, Special Forces and the Elusive Enemy Ground Targets, Washington DC, 2000. About the author: Dr. Daniel Uziel researches different aspects of modern German history, military history, and war and media. In recent years he is researching the history of the German aviation industry. He conducted part of this research as a fellow at the US National Air & Space Museum.You can find all of Dr. Uziel’s columns on TFOT here.